Over the five days we have seen violent mobs in Berkeley vandalizing their downtown area, resulting in 20 arrests of violent Antifa thugs supported by far-left liberals, the same day Portland police had to put a human barrier wall between Antifa members and members of the Patriot Prayer group, which also included violence; TPUSA members, Candace Owens and Charlie Kirk assualted and accosted while eating breakfast, where police had to form yet another wall between the mob and the two conservative activists, and; Big tech collectively acting in unison to silence a member of the Alternative Media. Each of the events described above are supported, and encouraged by liberal "progressive" Democrats and the establishment media, which it appears are one and the same now. It was Maxine "Mad Max" Waters that publicly called on people to gather into "crowds," aka mobs to publicly confront Trump administration officials, at gas stations, grocery stores and restaurants. Waters made those statements shortly after reports that multiple Trump administration officials were accosted and heckled while out dining. Following that call from Waters, there was a dramatic increase in regular every day private citizens that support President Trump being attacked in public, while at restaurants, and other examples of harassment and violence. A teenager was assaulted for wearing a MAGA hat. The man tore the hat off the teens head, along with some hair, and they picked up a drink and threw it in the teens face. Berkeley police arrested 20 Antifa members who became violent during a demonstration against conservatives that were holding a rally. The smashed windows, physically assaulted citizens and had "dozens of weapons," confiscated by police. 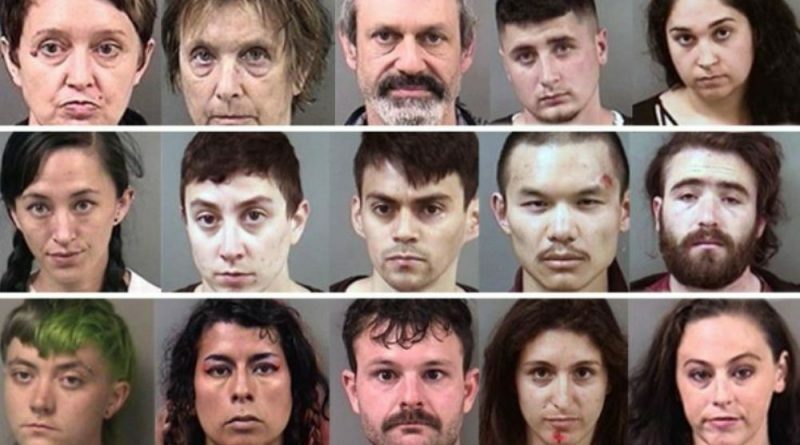 Berkeley police released the mug shots of those arrested (seen above) and liberals online, along with California professors, slammed the police for releasing the names and images, which are public record after their arrests, without criticizing the violent actions of Antifa members at all. Think about that for a minute. It is now the overwhelming majority of far-left "progressive" liberals that stay silent about the violence perpetrated against conservatives but slam law enforcement for releasing public information about those arrested for that violence. Berkeley Police on Twitter linked to an article about the arrests, which stated that "extremists threw explosives at Berkeley Police and Alameda County Sheriff’s Office mutual aid officers." They also describe other actions these Antifa thugs took during that demonstration. Liberals took to Twitter to slam the Berkeley Police for releasing the public information, rather than criticize the violence of Antifa. One user by the handle of J-Abolish ICE-Dub, tried accusing them of a "violation of privacy" for releasing the names and mug shots. Another says the release of the information "invites danger," and later calling it a "hostile gesture." Personally I think throwing explosives at the police trying to keep peace during rally-goers and Antifa extremists, is pretty "hostile," but that user apparently doesn't see the irony of her statement. Between the names, the profiles, and by clicking over to individual accounts, it was easy to see the political lean on those criticizing the Berkeley Police compared to the ideological stances of those supporting them. Radical liberals were defending Antifa while more moderates and conservatives were supporting the arrests. Last but not least, the media campaign to censor Alex Jones of Infowars, with an online harassment campaign by other liberals, resulted in a collective big tech attempt to silence his online presence and limit his reach. Facebook, YouTube, Apple, Google Podcast, Spotify, TuneIn (Online contact form), Spreaker (email: [email protected]), iHeartRadio, Audioboom, Pinterest, MailChimp (scroll down to the "Access Our Contact Form" link) , Stitcher, Disqus, Sprout Social (Scroll to the bottom/left side), and LinkedIn, all terminated services from Alex Jones and Infowars, all within a 24 hour period. NOTE - Each company listed above is linked to their contact information, including in many cases their physical HQ address, online contact forms and phone numbers. If you want your voices heard as to this latest salvo to silence Independent Media voices, please take the time to contact each and every one, then pass the information on to someone else that will contact them. Many of the testimonials at the #WalkAway campaign website cite the liberal radicalism that has taken over the Democratic party as the reason this movement has taken off and grows exponentially, getting bigger and bigger every day. 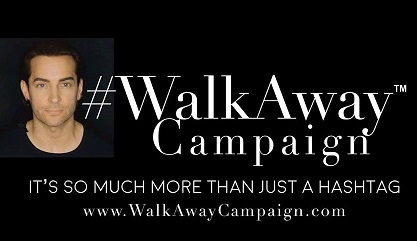 They cite the media bias, the violence, and the outright attacks against those that disagree ideologically, as the reason they had to #WalkAway. Their video channel offers firsthand accounts of those that, contrary to the media spin, are not "bots," nor Russian propaganda, but show very real people, that no longer want to be associated with what the Democratic Party has become. The Democratic party has been taken over. 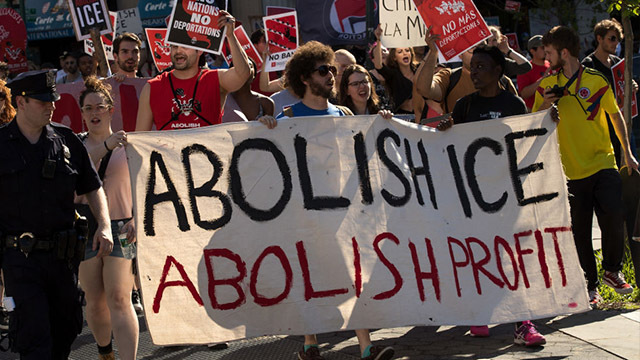 Abolish ICE, attacking police, open borders, encouraging mob violence, a Democratic socialist being called the "future" of the party, the outright online harassment campaigns against free speech, and the liberal big tech giants and social media platforms blatant censorship practices, are now the "normal" for the Democratic party. The moderate Democrats, we used to call them Blue Dogs, those conservatives disagreed with politically on social and fiscal issues, but never considered violently radical, need to decide here and now...... are they radical liberals? Do they stand hand-in-hand with party leaders that encourage the formation of mobs to publicly confront, many times violently, political opponents? Do they agree with censoring voices online simply because they disagree with the message? Do they approve the violence perpetrated by Antifa against those they disagree with politically? If the answer is no..... they must #WalkAway because that is what the Democratic party now represents.